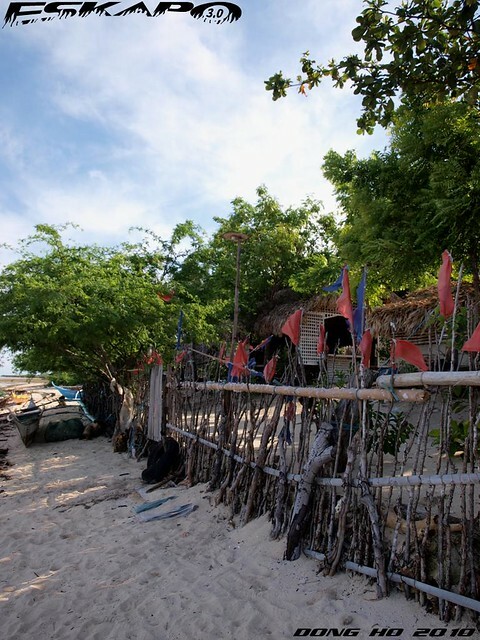 i went there without knowing anyone in the island but with a goal to find and meet the kapitana, the village's chieftain. with almost indefinite schedule of boat trips, i had to rent a small boat from a local who was buying some goods in the coastal town of San Andres. a view of the island's white sand strip from the town port and a mere 30-minute boat ride to the island was just perfect to beam up the excitement. there, one would have to wait for the boat man to buy the gasoline needed for the trip. a blue sky alone on a rainy season was already a rewarding. just when we reached the islands coast, i immediately asked if the kapitana was there as if i've known her for quite some time. 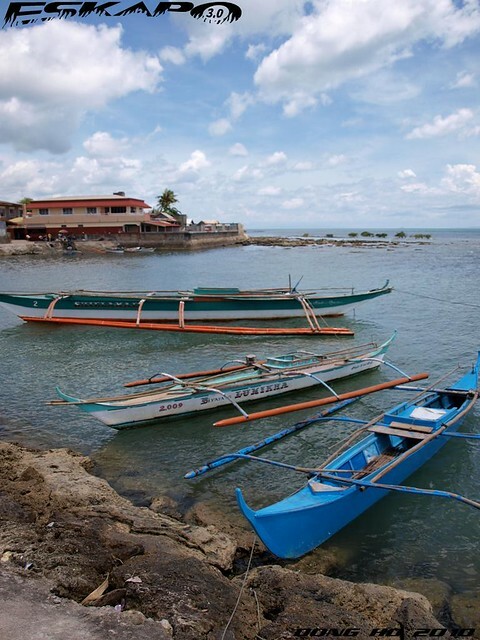 a typical Philippine fishing village with boats lined up along the coast and nipa huts behind coconut trees. 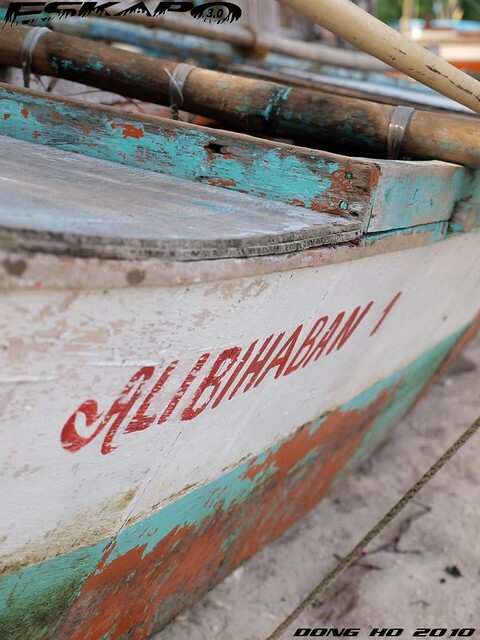 with an island name that's so unusual, i asked the boat man how they call it and said it's commonly pronounced as "Alibihaban" pointing to one of the boats with a name spelled as how they call it. 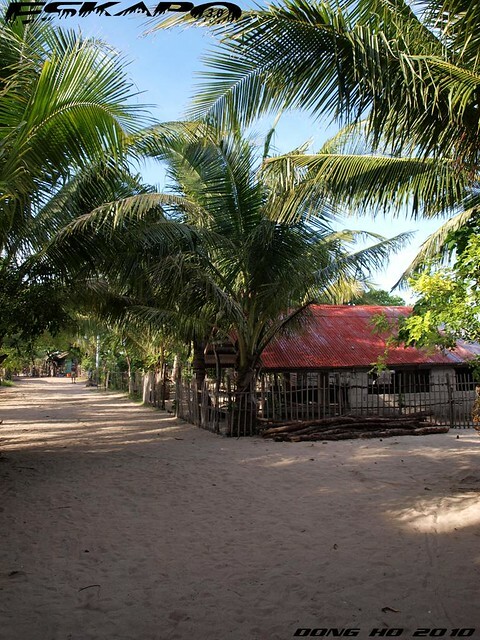 the island with a small community has kept its white sand coast clean and beautiful. a local said that they maintain it this clean and would usually be untidy on very few occasions which happens after a typhoon has swept the gulf. 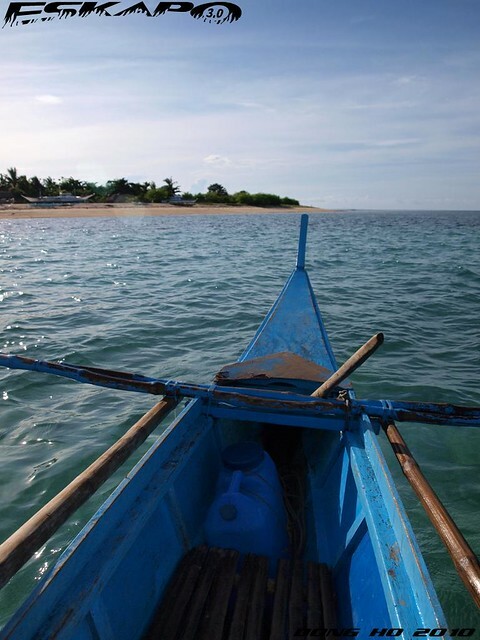 as the boatman led me to the house of the kapitana, i can't help but miss my own island province. 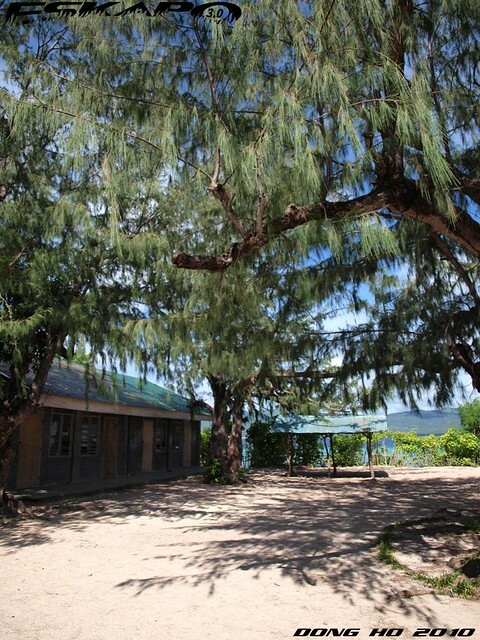 the island has a school right beside the beach with classrooms under beautiful shading trees. just imagine a school with a beach as the playground. a group of people under one huge tree waved at me with smiles like they were expecting me. 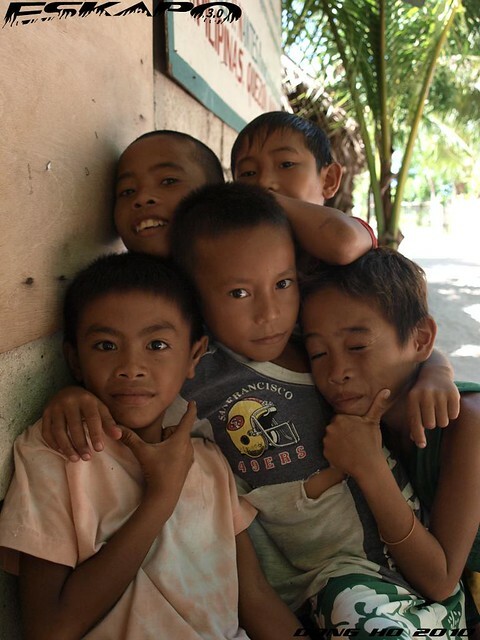 in contrast to some of the residents of the coastal town of San Andres who were a bit hesitant in seeing a stranger with a camera. when we reached the chieftain's house, kids beside a mini shop requested for a group shot with smiles which reflected natural and genuine Filipino hospitality. as we went in their backyard, the kapitana welcomed me and immediatley asked if i'm from an environmental group. i said "no. i'm just here to explore the island" and she smiled. the kapitana introduced me to some of the locals and introduced me to them as the engineer, as they would usually refer the visitors of the island through their profession. we had a chat as she was curious how i discovered the island and what led me to visiting it. after that chat, she asked one person to bring me around the nearby beach line. and when we returned, a special seafood meal from the day's catch was served over a bamboo table. 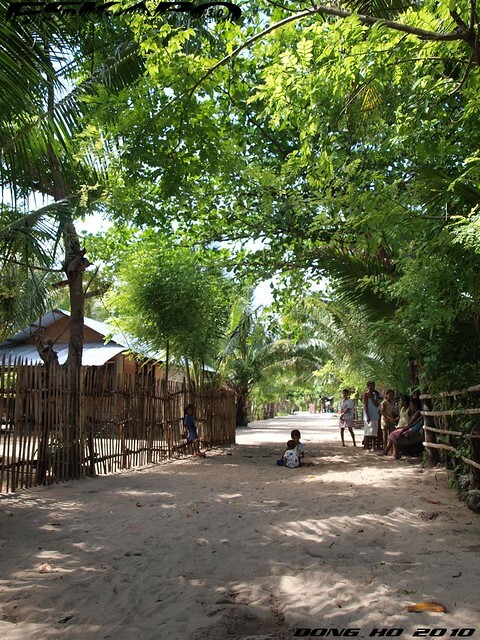 again, i ended up realizing that beyond beautiful island beaches, the people's hospitality are its most priceless gem. 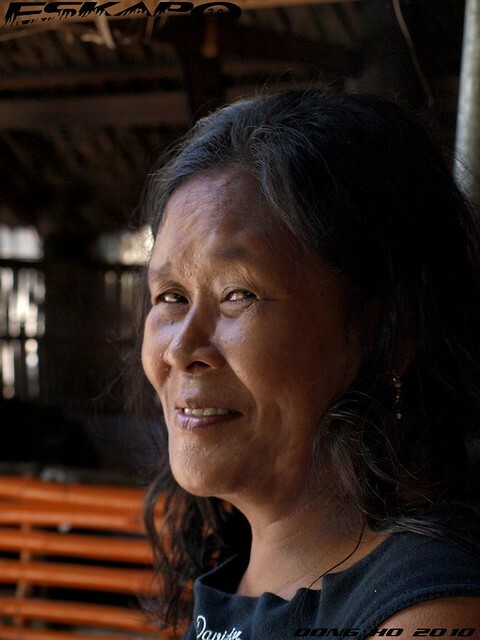 photo above of a lady is the Kapitana Editha Paghubasan who personally wants to invite people to visit the island. just look for her when you visit the island. Splendid island, Dong ho! I like the streets of sand and the lady's portret very much. What a relief that the island is not full of tourists who will only spoil its natural beauty. Or will it be good for the economy of the island? Now, that you indicated the GPS address it's possible that hordes of tourists will go there. It's spectacular! this wouldn't be a secret for long - knowing how widespread your blog reaches or your facebook page for that matter. this was great, you are a trailblazer. what will it take for a place to get an escape factor rating of 5 from you? Ang galing! Post more pictures Dong! 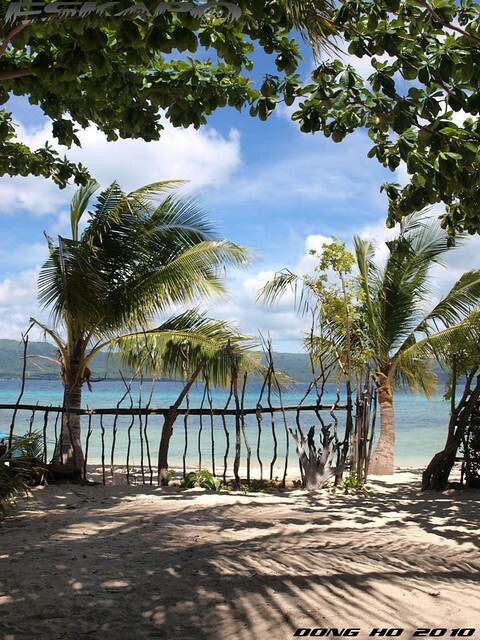 Another virgin island that's perfect for beach bums like the Sole Sisters. DongHo, you are very brave and adventurous. Very interesting story about the island and its chief. Thank you for sharing. simple, simple! and amazing place...sarap ng simoy ng hangin, para akong naglalakad sa tabing dagat, buhay na buhay ang lugar sa picture mo pards! wow! sa lahat ng post mo kaiba to. imagine eskapo going solo? and hey engineer, if not for this post, i would have no idea about Alibihaban Island. galing! great discovery dom. i admire you for always being the 1st (of my blogger friends) to see new places. These are great. I especially love the portrait of the smiling woman! kuya dom, i saw this last night and ang ganda niya! panalo sir dong! sa lakas ng loob, sa kakaibang research. nice island and people. ang ganda talaga ng pinas sa tabi-tabi lang. What a fabulous island! So nice the white sand coast, the trees, the transparent atmosphere. Very beautiful the portrait of the smiling woman! Lush island... Wow you really went there huh.. And I am happy to see that we still have those kind of islands.. Unexplored, virgin island. I think you just put one island on the tourist map. So lucky of you to experience local hospitality before it goes mainstream. oo nga dong, papaano mo na didiscover ang mga islang tulad nito? nice sharp pics you got there. what is your camera set up? 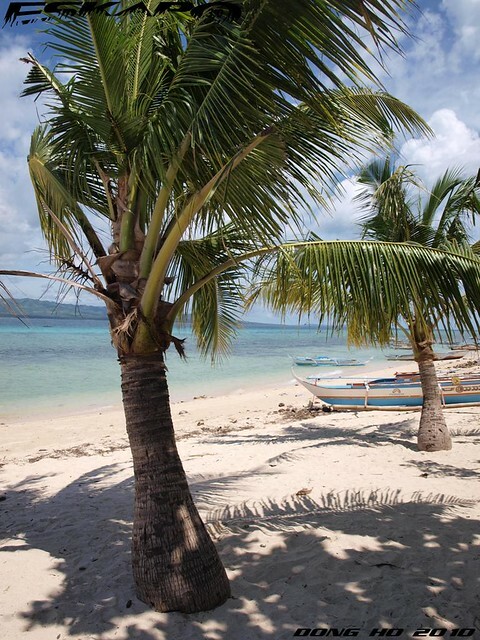 ikaw na ang runaway winner pagdating sa paghahanap ng mga hard to find beaches and escape islands Dom. napakasimple ng isla pero ang ganda. gusto ko na din tuloy pumunta dun. mas ok kasi di pa sya gaanong napupuntahan ng tourists kaya di oa crowded. Parang a piece of Heaven on earth pala d'yan! im sure tranquility reigns on that island. ang husay ng shot sa last 3 photos! clap, clap! that's good to know! from san andres port it's just about 30mins or even less. there are no hotels yet or resort in the island but you can ask the kapitana and she might offer you a bed somewhere. share your experience when you get there. hi thanks for the reply:) my cousen live there he said the island is just 30mnts travel in the boat. never heard about this island before, now i know. ngaun ko lng nabasa blog mo at mraming salamat sa pagbahagi mo sa naging karanasan mo sa alibihaban. 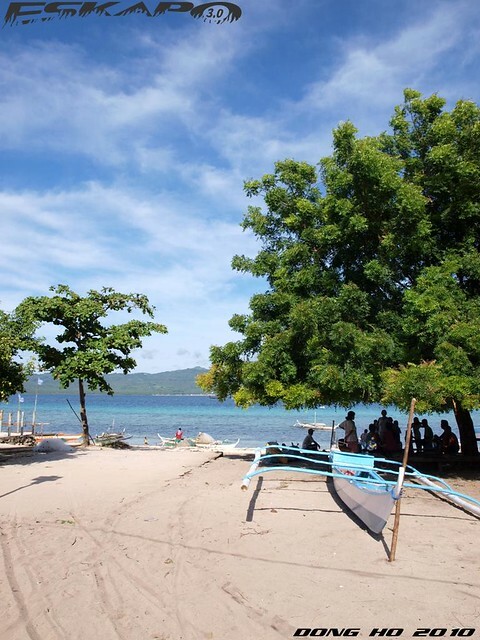 karaniwan nming tinatawag ito na 'pulo'.hindi ko alam kung napuntahan mo rin ung kabilang dulo ng isla.andun nman ung mga magagandang kweba sa tabi ng dagat at maganda rin ung sa may gitna ng isla.un ang pinupuntahan ng mga karamihan. 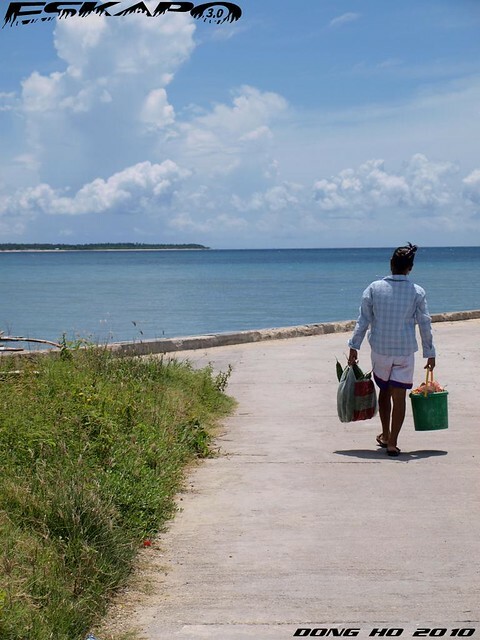 sa mga gustong pmunta sa alibijaban may matutuluyan po kayo sa san andres town proper.hi maria!from tala to san andres 15 to 20 minutes lng tpos papunta alibijaban ay 30 minutes sa bangka.walang bayad dun sa beach.arkila lng kau ng bangka at magdala ng pagkain.welcome po kayo lahat dun. i am planning to visit the island soon. i am impressed sa Alibijahan. what are things to do in the place?? Nice discovery Dong Ho. Keep it up!